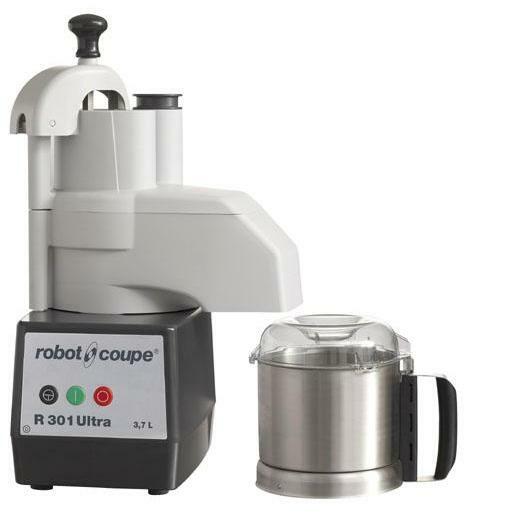 Easily prepare an array of processed vegetables, purees, and more with the Robot Coupe R301 3.5 qt. 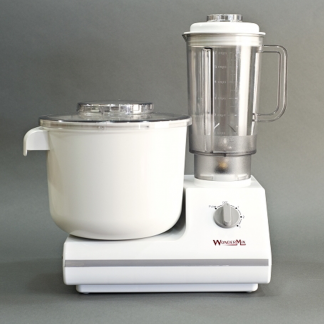 combination continuous feed vegetable prep and vertical cutter food processor! 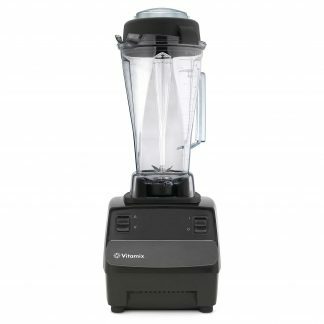 Its powerful, fan-cooled 1.5 hp motor can slice, shred, grate, julienne, mix, chop, puree, and blend with ease. Great for use in a commercial kitchen or health care facilities, the R301 is able to produce up to 2,000 servings of processed vegetables in 3 hours, or puree the equivalent of 12 daily diets. 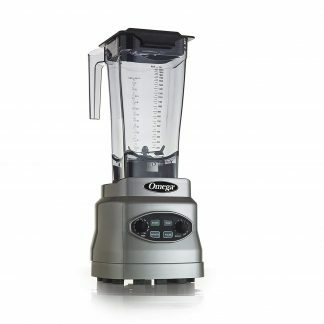 The 3.5 qt. gray ABS plastic cutter bowl with clear lid and stainless steel smooth edge “S” blade easily process an array of items, while the included 2mm (5/64″) grating disc and 4mm (5/32″) slicing disc offer an array of options for use with the vegetable prep attachment. Additional results may be achieved with the use of one of the 21 additional processing discs available (sold separately). All attachments may be easily removed for cleaning, and both the motor base and vegetable prep attachment are designed to be resistant to wear from chemical agents for longevity. 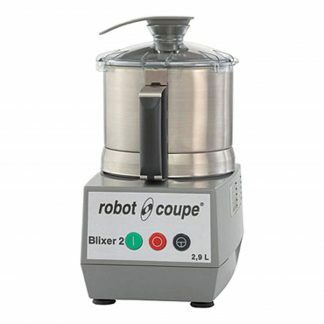 The Robot Coupe R301 requires a 120V electrical connection for operation. A large hopper (104 cm2) for the preparation of vegetables such a as cabbage, celeriac, lettuce, tomatoes. 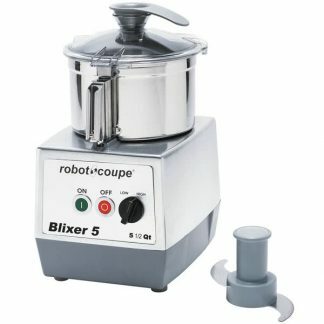 A cylindrical hopper (ø 58 mm) designed for long or fragile vegetables giving an outstanding quality of cut.